Create Linux, Rescue or Windows multiboot USB drive using any ISO or DVD with Windows 7,8,10 distributives without formatting in most cases! 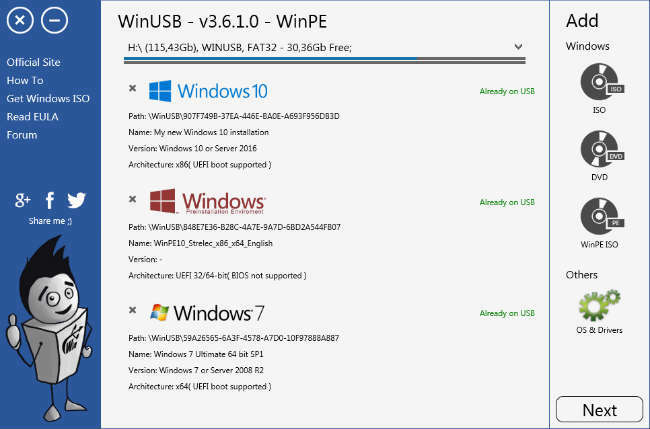 WinUSB supports both UEFI/BIOS for FAT32, NTFS, ExFAT USB flash drives. 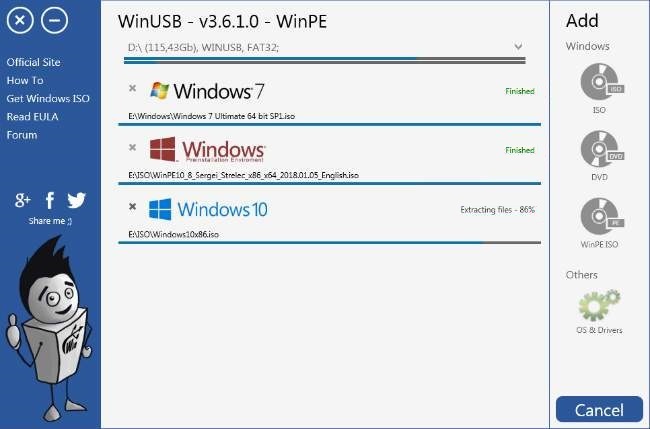 I'm WinUSB, a simple application which helps you create multi-Windows bootable USB drive using any ISO or DVD with Windows 7,8,10 distribution and make it without formatting in most cases! 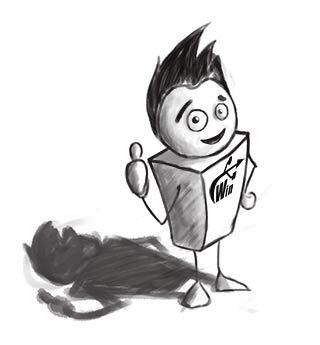 I support both UEFI/BIOS for FAT32/NTFS/ExFAT USB flash drives. 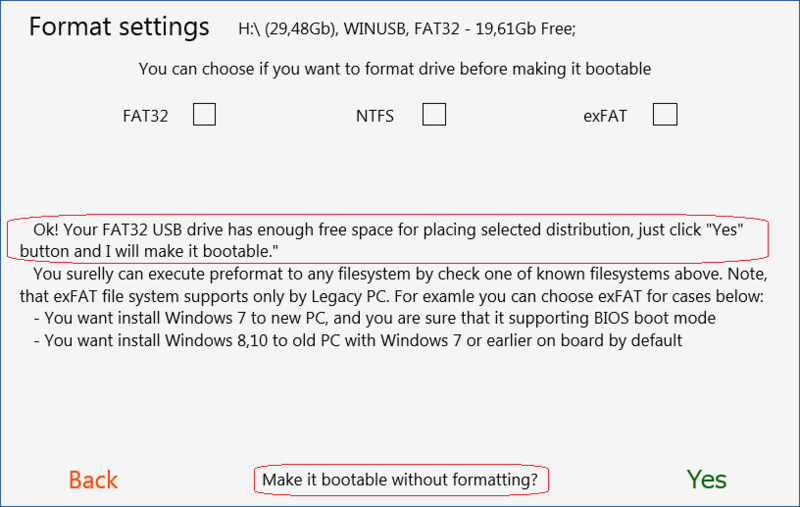 Create Windows multi-bootable USB flash drive with just three ease steps in intuitive user interface. Select necessary Windows distros. ISO and DVD supported. Define new file system of USB drive, if you want format it firstly. You can choose any number of Windows or Linux distributives, rescue live programs and Driver Pack to create your own multiboot USB flash drive. Formatting your flash drive will not required, when free space on it is enough. 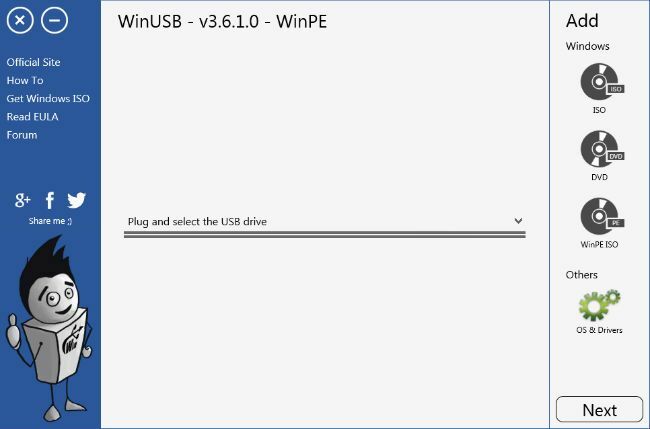 With WinUSB, you no longer need to transfer many files to hard drive of your PC when you need create Windows bootable USB stick. 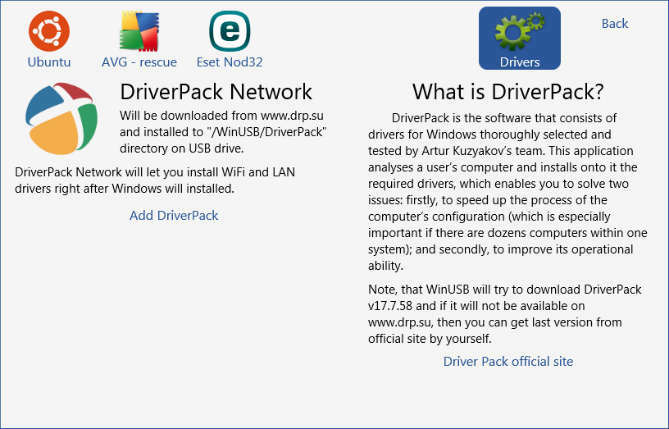 DriverPack Network will let you install WiFi and LAN drivers right after Windows installation will finished. Add network drivers for your PC to multi-bootable USB drive in two clicks! Starting from WinUSB version 3.5 you can manage already flashed distributives!